Many good researchers at the University of Life Sciences (UMB) publish interesting research results in both Norwegian and international journals. Professor Inger-Lise Saglie at the Department of Spatial Planning (ILP) heads the list of 500 UMB researchers who registered publications with points in 2010. "A wide range of interesting and important research results is published by researchers at UMB. 2010 was a special years, as it was the first time a female researcher headed the publication point list. 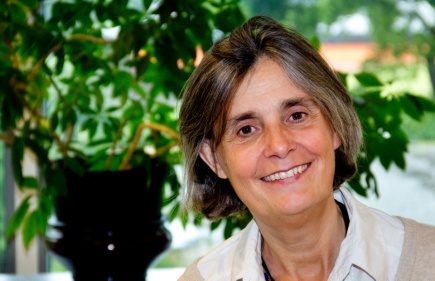 Professor Inger-Lise Saglie beat all the "boys" and secured most publications points. We would like to congratulate her for her excellent research contribution," Pro-rector for research, Ruth Haug, said. Inger-Lise Saglie's research areas include environmental issues and planning and over the years she has become a recognised researcher both in Norway and internationally, with an extensive international network. She is particularly interested in driving forces in urban development and planning, as well as results of urban development in relation to sustainability, democracy and power. Saglie's publication points in 2010 are mainly related to several extensive research projects on Norwegian conditions and international comparisons. Saglie was once the youngest Norwegian architect to graduate and has previously worked at the town and city planning offices in Tromsø and Oslo municipalities, SINTEF Building and Infrastructure, and the Norwegian Institute for Urban and Regional Research. Inger-Lise Saglie was surprised to be heading the 2010 publication list. "It was surprising and a little bit random, due to my projects publishing many articles last year," Saglie said. The articles were among others published in internationally recognised journals such as European Planning Studies, Planning Theory and Research and Urban Research and Practice. Saglie's project "Public Involvement in Urban Planning" has many international partners and is financed by the Research Council of Norway. The projects address public involvement and democracy in urban development processes. Over the last years, private developers have increasingly taken the role of developing formal plans. The researchers are questioning how new relations between the municipalities and private urban developers affect public involvement. Public involvement tends to appear late in the process, being some sort of hindrance and leading to poor processes. "Many of the articles on last year's publication list were written in relation to international conferences. We met with our international partners and dedicated a few extra days to working intensively on writing articles about these topics. It is important to create this "space" in your daily routine in order to dive deep into the research issues. Project funds have made it possible for us to participate in international conferences and exchange ideas, which has been a great advantage to the project," Saglie said. The project was just awarded a new grant by the Research Council of Norway for another four years. The project will do further research on urban development and sustainability. "There's been great interest in our project so far, both from the Ministry of the Environment and private organisations, and we have held a wide range of presentations both in Norway and on international conferences," Saglie said.